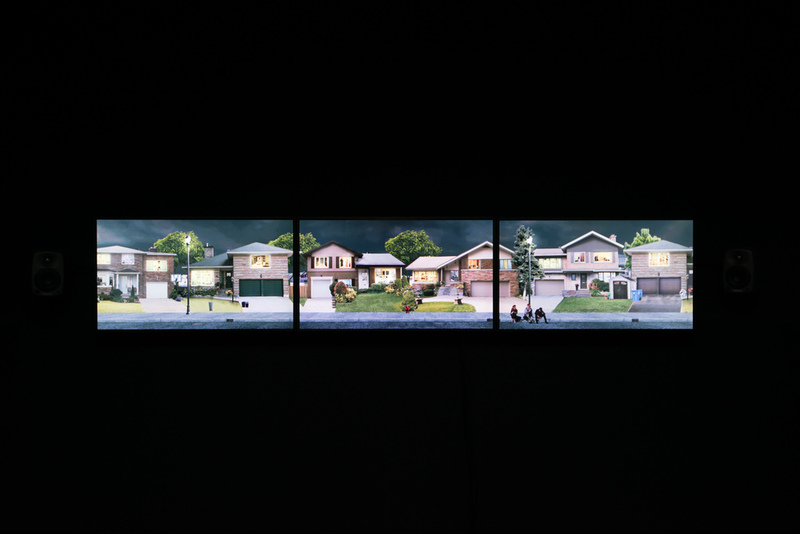 Suburban Terrarium is a 3-screen video tableaux illustrating a street of cloned houses in suburb America and featuring people in daily monotonous motion during the course of a one-day loop. The sunrises, adults go to work as children go to school. People at home water the plants, cut the grass, and put out their laundry to dry. Kids play in the street, night falls and the house lights go out, then the sun rises once more to start a new day. For this landscape I am particularly inspired by James Howard Kunstler’s book, The Geography of Nowhere: The Rise and Decline of America's Man-Made Landscape. Kunstler criticizes how suburbia has ceased to be a credible human habitat, and examines the effects of suburban sprawl, civil planning and the automobile on American society. 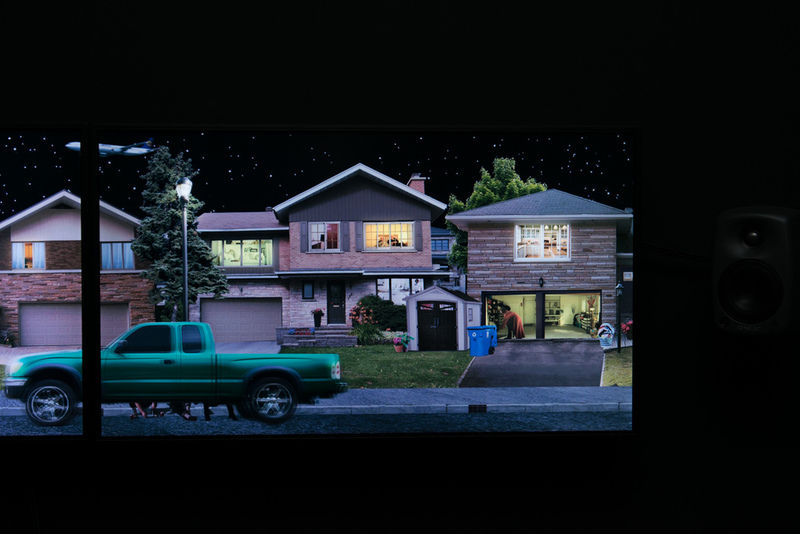 The work combines animation, photo-collage and people filmed on green screen, composited in After Effects to create a seamless multi-screen videoscape. Suburban Terrarium is part of a larger series of work Video Terrariums, which is a collection of panoramic video landscapes using multiple screens and integrating various animation/compositing techniques to reference scenic dioramas as one might find in a natural history museum illustrating a variety of habitats.